TobyMac is easily one of our family's favorite recording artist. In fact, The Boy has been to 2 of TobyMac's concerts and even got to go backstage and meet him before one of the concerts. Every one of the small people have TobyMac's music on their MP3 players. So when the opportunity became available for us to review the newest TobyMac album, which is scheduled to be released on August 7th (tomorrow! ), I couldn't wait! 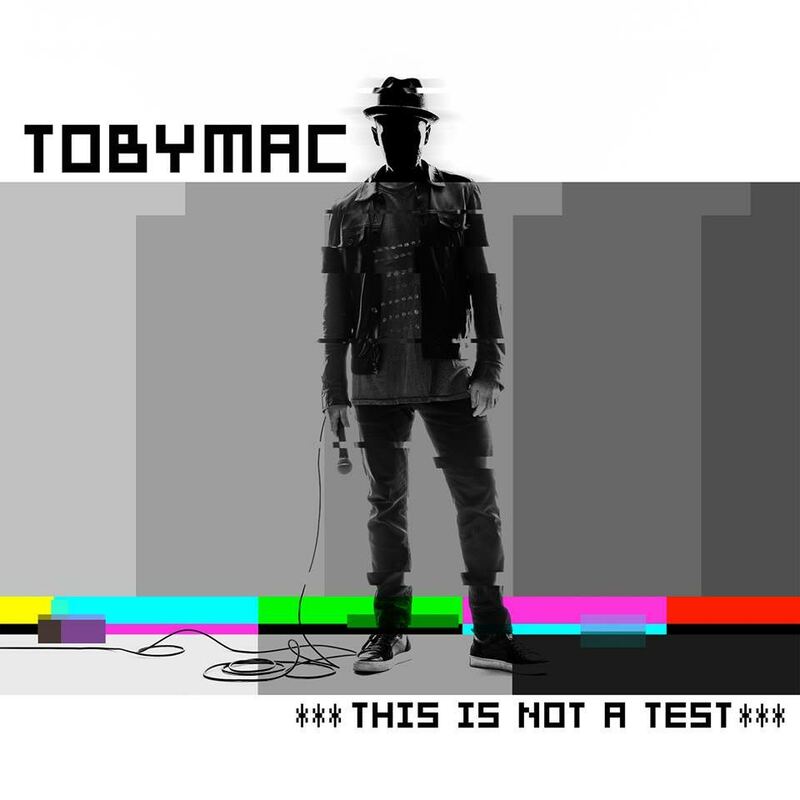 Toby McKeehan(known professionally as TobyMac) is a husband, father, performer, songwriter, producer, and businessman. Growing up in the northern Virginia suburbs adjacent to Washington D.C. helped instill his love for rap music. While attending Liberty University during the mid 80s, Toby met Michael Tait and Kevin Max Smith and these three friends formed the Grammy winning, platinum selling group dc Talk. Toby began his solo career in 1999 with his first solo album, Momentum, releasing in 2001. Momentum has been followed by four additional studio albums, Welcome to Diverse City (2004), Portable Sounds (2007), Tonight(2010), and Eye On It (2012), along with his first live album, Alive and Transported (2008). This Is Not A Test is his 6th studio album to be released. Starting with dc Talk, and then going solo when the group disbanded, Toby still clings to such rootsy notions as hard work, persistence, patience, and - perhaps most relevant of all - the power of music, which he insists is still what keeps him going. "It's the truth," he says. "I still believe that a song can penetrate a heart. I believe God can use a song to open someone's mind and heart." There are 15 songs on this album. One of the songs, Beyond Me, we were already familiar with since it has been played often on the local Christian radio station that we listen to. I had so much fun listening to this album. Every single song had me dancing, much to the dismay of my small people. Ha ha! iTunes - If you pre-order the album here on iTunes, you will receive 4 songs instantly! Not only did I get to review this amazing album to let you know all about it, I also get to give away a CD of This Is Not a Test to one of you lucky people! Simply enter the giveaway below for a chance to win.